It is made of top grade acrylic. 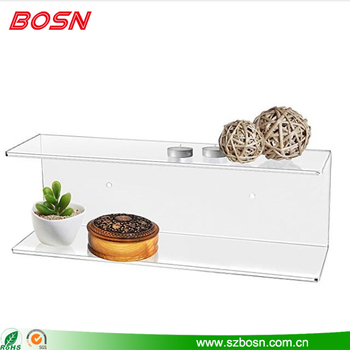 The modern efficiency and clear acrylic shelf brings stylish organization to any wall space in your home. The shelf is easy to display your favorite things.